Ceilidh (Barn Dance, Folk Music) Band located around Torbay and South Devon. Playing throughout Devon, Cornwall, Somerset and the South West, their mix of traditional and folk music with a strong, driving rhythm is ideally suited to Ceilidh dancing and Barn Dances. 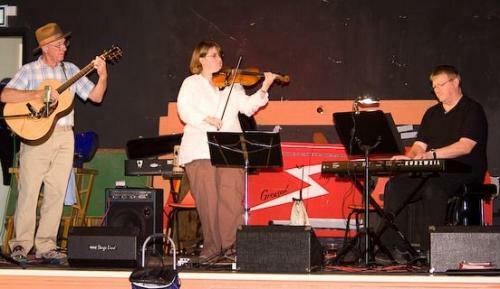 Musicians include LYNN (fiddle),JOHN (accordion) and MEL (guitar) who have all been playing in Ceilidh Bands in one form or another in the South East and South West. The band also includes their own Resident Caller DEBS, and dedicated Sound and Lighting Engineer MARK .